I will be, well we will be able to buy the Nokia Lumia 920 for a cheaper price compared to other high end smartphone if reports from welovewp.hk is to be believed. According to welovewp.hk, the Nokia Lumia 920 is already on pre-order at Toaboa, one of the bigeest Chinese online shopping site (think Amazon.com) for $512 (or £320). They say this price is the real deal. Nokia or Microsoft for that matter haven't given us any official word on when the Lumia 920 or 820 will be available and how much we will be able to get them. But if this rumor turns out to be true, it would be cheaper than the iPhone5 ($899-$1199) or the Samsung Galaxy SIII ($599-$799). So how true could this be? why right now the Lumia 800, which is a smaller exact version of the Lumia 920 (made from the same material), costs $319 for the factory unlocked version (via amazonUS), and seeing as the Lumia 920 is a bigger, more powerful version of the Lumia 800, this price may not be too far off. The Lumia 900 costs $449 (amazonUS), while the Nokia 808 PureView costs $559 (amazonUS) though these prices are expected to drop significantly when the Lumia 920 and 820 hit the market. 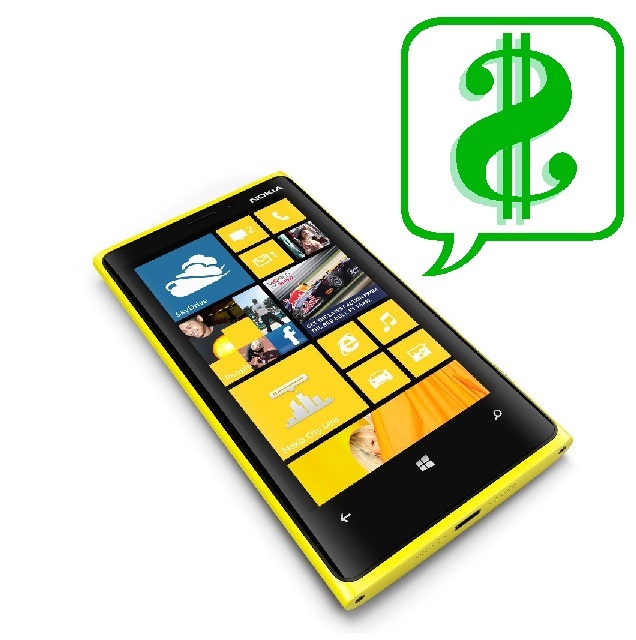 So how much do you think is a reasonable price for an unlocked Lumia 920? or 820?